403(b) plans are alternative retirement plans only available to non-profits like charities, churches, public schools, health systems, and government agencies. Like retirement plans used by for-profit businesses, 403(b)s incentivize employee saving through deferrals and employer contributions. Combined contribution limits are $56,000 and can be invested only in annuities and mutual funds. Human Interest provides effective 403(b) plans using advanced technology to streamline the process and save on administration costs. Plans start at just $120 per month. Reach out to an agent today to explore a low-expense option. 403(b) plans are tax-deferred annuity plans that are typically the only retirement plan option for non-profits. 403(b) plans were created to be very conservative, and not-for-profit employees can only invest in annuities, conservative mutual funds, and target date funds. In a 403(b), you can’t buy stocks, bonds, ETFs, or alternative assets like real estate. In practice, 403(b) plans are like a middle ground between a 401(k) and a pension, and are meant to provide recurring retirement income rather than the lump sum savings of a 401(k). Like 401(k)s, they allow for employee salary deferrals and employer contributions (either matching or non-elective contributions) up to the same $56,000 annual limit. However, actual limits are determined using individual employee formulas available via the IRS or your plan provider. We discuss this in greater detail below. If you run a for-profit company or are self-employed, then a 403(b) plan is not an option for you. Instead, you can read our article on the 6 best retirement plans for small businesses. Alternatively, you can check out the Small Business Alternatives to a 403(b) Plan below. Sometimes, however, a person might have access to both a for-profit 401(k) plan as well as a non-profit 403(b) plan. This might happen if you’re employed by a non-profit and also run a side business as a solopreneur. If this is the case, it’s important to consult 403(b) plan rules to determine when and how you can contribute to your 403(b) in conjunction with another for-profit retirement plan, including one established for your own business. More likely than not, if a 403(b) is right for you, it will be the only option open to you. This is because 403(b) plans were structured specifically to serve not-for-profits. For-profit businesses aren’t even eligible for tax-deferred annuity plans, and almost no alternatives are appropriate for non-profits. If you run a for-profit business looking for a retirement plan, check out our article on the 6 best retirement plans for small businesses. Otherwise, keep reading for a list of the top 403(b) providers, including general costs, contribution limits, and deadlines. Because 403(b)s are tax-deferred annuity plans, providers tend to be large mutual fund and insurance companies. This is in contrast to for-profit plans that can be administered by institutions of all shapes and sizes, including alternative online providers. Vanguard, the largest mutual fund company in the world, also provides retirement plan services for small businesses and nonprofits. Among other plan types, Vanguard helps employers who qualify to implement and administer 403(b) plans that meet their specific needs. Vanguard is a great option for any employer who qualifies for a 403(b) and wants to set one up that includes a strong selection of cost-effective, professionally managed mutual funds and some target date funds. Because tax-deferred annuity plans are limited to annuities and mutual funds, Vanguard is an excellent provider for these conservative retirement plans. TIAA is an insurance and annuity company that was founded more than a century ago with the sponsorship of Andrew Carnegie to provide teachers, researchers, medical and government employees with income during retirement. With more than $1 trillion in assets under management, TIAA continues to assist teachers and other employees with tax-exempt organizations. 403(b) plans, which are largely modeled on the annuities originally sold by TIAA, are among the firm’s core offerings. It’s been reported by Cerulli Associates that TIAA holds as much as 40% of all 403(b) plan assets nationwide. TIAA caters specifically to educational and healthcare tax-exempt organizations, so TIAA is a great potential provider if you run one of these types of organizations. However, we rank them behind Vanguard specifically because they’re limited to education, healthcare, and government organizations. Fidelity is a full-service, diversified financial services company. The firm provides a full array of brokerage and banking services for small businesses and other entities, including 403(b) administration services. For entities that want to set up a 403(b) and also need banking or other services, Fidelity is a great full-service option. For example, if you need to open a business bank account or need additional services for your personal finances or a side business, Fidelity can be a great help. T. Rowe Price is a large asset management firm that, in addition to providing mutual funds and other investment products, provides administration and recordkeeping services to 403(b) plans. T. Rowe can also assist in selecting investment options for plan participants. If you want to make sure that plan participants have access to a wide range of investor education tools, T. Rowe Price is a good option. This is because their education tools will help employees to improve financial literacy and make better investment decisions. Because 403(b) plans are niche products provided by only a few companies, fee information is not widely available. Generally speaking, though, costs are structured along the same lines as 401(k) plans but are often lower. Though largely dependent on plan size, average tax-deferred annuity plan costs are between 0.7% and 0.8% of plan assets. Administrative costs (0.5%-2%): 403(b)s require plan administration that typically has a fee based on the number of plan assets and/or participants. As plan participation or assets increase, this fee tends to rise. Recordkeeping fees (0.15%-0.5%): In many cases, recordkeeping is included with plan administration, but sometimes has its own fee that’s typically tied to employee headcount. As the number of participants in a plan increases, this expense tends to rise. Custodian fees ($20-$50): These fees are typically paid directly by employees and are usually a flat annual fee. The fee does not usually change with the amount invested, but each additional plan participant will pay their own custodian fee. Mutual fund expense ratios (0.15%-1%): Because only mutual funds and annuities are allowed in a 403(b), there are no trading costs for stocks or bonds. However, investment options charge their own expense ratios based on the number of assets you invest. 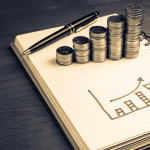 As you invest more in a fund, the amount you pay in fund expenses will rise. Investment advisory fee (0%-1.5%): Because investment options are so limited, not all 403(b) plans have an investment advisor. In those plans that have an advisor, however, there’s often an advisory fee paid from each participant’s account based on the amount they’ve invested. As an employee invests more, the amount they pay in advisory fees increases. Annual 403(b) contribution limits are specific to individual employees based on a number of factors, including how long they’ve worked for the plan sponsor. To determine your personal contribution limits, you must compute your Maximum Allowable Contributions (MAC) according to IRS guidelines. Generally, 403(b) contribution limits for 2018 are $56,000. Employee deferrals: 403(b) plan participants can contribute up to $19,000 in pre-tax salary deferrals in 2018. Nonelective or Matching Employer Contributions: An employer can choose to match employee deferrals or make nonelective contributions of up to $19,000 to each employee’s account, which are pre-tax and made whether an employee chooses to contribute or not. Additional Employer Contributions: In addition to non-elective contributions, employers can choose to make discretionary contributions up to $18,000 from year-to-year. These contributions are post-tax and can be likened to the profit-sharing component of a 401(k). If you have a 403(b) account in addition to another retirement account from a for-profit employer or your own business, you can contribute to another plan, but any contributions you make to private retirement plans are counted against the $19,000 in allowable deferrals to your 403(b) plan. Further, your total contribution limit is $56,000 for 2018. Lastly, 403(b) contribution limits can change with the 15-year rule, which applies to those employees who have 15 years of service with the plan sponsor. For those eligible employees, maximum allowable contributions may increase according to a formula based on years of service and previous deferrals. To determine your Maximum Allowable Contributions, you can refer to IRS Publication 571 (Worksheet 1 on Page 18 is especially helpful). Unlike retirement plans common to for-profit companies, the tax deductibility of 403(b) contributions is a bit more complicated. The first $19,000 in employee salary deferrals are pre-tax, as are employer matching (or nonelective) contributions (if applicable). However, the last $18,000 in allowable 403(b) contributions for 2018 are post-tax. Once contributions are made, funds invested through a tax-deferred annuity plan grow tax-free, with pre-tax contributions and gains being taxed when withdrawn after age 59½. Because 403(b) plans are used by non-profits, there are no tax implications for plan costs paid by an employer, and because these plans are tax-deferred retirement plans, all costs borne by employees are pre-tax. As niche investment products, 403(b) plans are available only to certain types of tax-exempt organizations. Once you establish or enroll in a tax-deferred annuity plan, there are rules that must be followed. Failure to follow these rules can generate an additional tax burden for plan participants or threaten the tax-exempt status of your organization. Under a 403(b), investments can only be made in annuities and mutual funds. 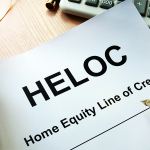 Trading in individual stocks, bonds, or ETFs is prohibited, and there is no such thing as a self-directed 403(b) account to invest in real estate or other alternative assets. If you’re eligible for a retirement plan through another employer or your own business in addition to a 403(b), you can contribute to both plans. However, any contributions in outside plans are counted against your $19,000 in allowable deferrals to your 403(b), which may hurt your matching. Any employer matching, contributions, and profit-sharing also count against your total $56,000 contribution limit. In administering a 403(b), it’s important that all eligible employees be given the opportunity to enroll. The easiest way to do this is to provide notice to employees as soon as they become eligible, and if they choose to participate, enroll them right then. Additional information on 403(b) plan eligibility can be found on the IRS website. Some retirement plan alternatives, including 401(k)s, allow employers to use schedules for vesting employer contributions. This creates a disincentive for employees to leave early. In 403(b)s, however, all contributions must be vested immediately. 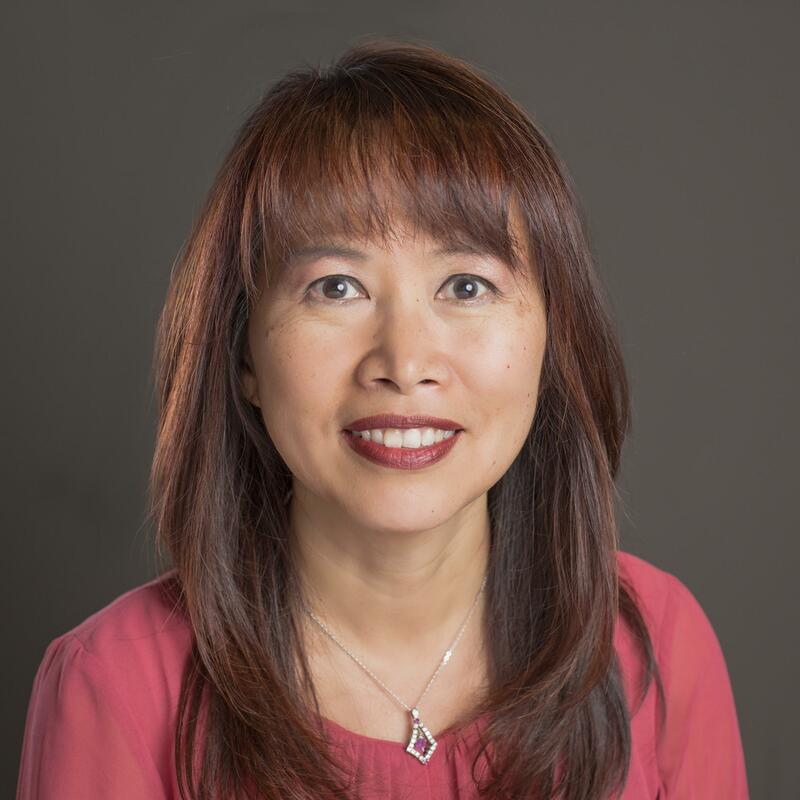 Like IRAs and other qualified retirement plans, assets held in a tax-deferred annuity cannot be withdrawn until after a plan participant turns 59½. Any early withdrawals are subject to IRS penalties unless hardship or other exemption provisions are met. To avoid penalties or unanticipated tax liability in a 403(b) plan, it’s important that employers and employees comply with certain IRS deadlines regarding plan formation and employee contributions. Though 403(b) plan deadlines are later than some other types of plans, failing to adhere to these deadlines can affect the tax-deferred status of your plan. 403(b) plans can be set up at any time throughout the year, as long as plan sponsors follow the rules and provide notice to eligible employees. 403(b) plan participants need to make their contributions by the end of the year. Contributions are not limited by the age of plan, but how much of the year you worked for the plan provider. To use a 403(b), start by following the setup process outlined by the IRS. A provider will help you through the steps, but it’s still a good idea to understand the procedure. 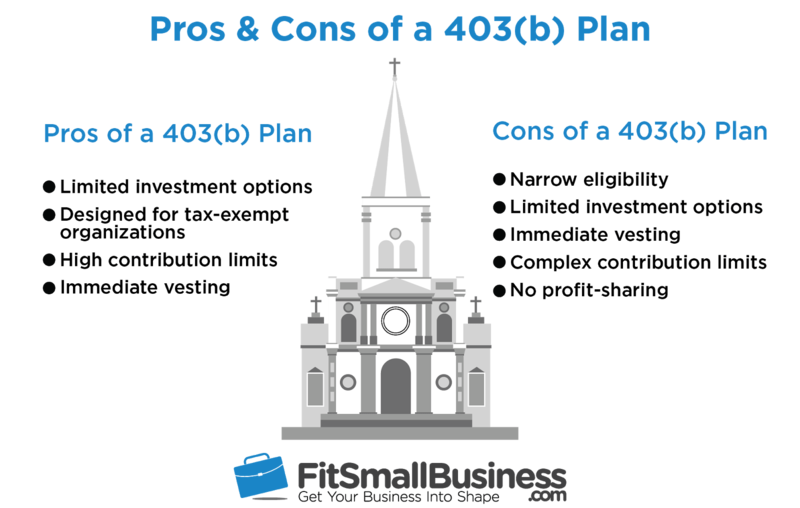 All 403(b)s, except some church organizations, must have formalized plan programs. Similar to 401(k) plan documents, a 403(b) plan program outlines certain mandatory and optional provisions, including eligibility, limitations, investment options, and timing and form of plan distributions. The IRS also requires plan programs to include provisions to prevent the concentration of plan assets or contributions by highly compensated employees. With certain exceptions, these provisions require annual nondiscrimination testing that’s also used in 401(k) plans. As with Safe Harbor 401(k)s, the IRS has created Safe Harbor 403(b) plans that are exempt from this testing because they make required employer contributions. Once a plan program has been adopted, plan sponsors are required to set up individual accounts for eligible employees. Through these accounts, participants can invest in annuities or mutual funds listed in the plan program. Depending on your type of organization and number of employees, you may need to get an Employer Identification Number (EIN) specifically for your 403(b) plan. Many plans are excluded from this requirement, including government agencies, some church 403(b)s, as well as some plans that are exempt from Safe Harbor requirements. Once your 403(b) is established, you need to administer it in accordance with your plan program. You may also be required to meet fiduciary responsibilities and provide certain notice to eligible employees if your plan is not exempt from ERISA. 403(b) plans are specialized investment products that are extremely conservative and only available to certain tax-exempt organizations. Although 403(b) contribution limits are as high as 401(k)s and SEP IRAs, contributions are only partially tax-deductible. There are additional drawbacks that employers should also consider when deciding whether to use a tax-deferred annuity plan. Limited investment options: Because participants can only invest in annuities or mutual funds, it’s difficult for them to get into investments that are overly risky or difficult to understand. Designed for tax-exempt organizations: 401(k)s and others are designed for for-profit companies, but 403(b)s are special plans structured specifically to meet the needs of certain tax-exempt groups. High contribution limits: 403(b) contribution limits are based on individual formulas for each participant, but generally match the highest contribution limits for for-profit options, including 401(k)s and SEPs. Immediate vesting: Because all contributions must be vested immediately, plan sponsors don’t need to rely on complex vesting schedules. Narrow eligibility: 403(b)s are only available to certain tax-exempt organizations. Limited investment options: Participants in 403(b)s can only invest in certain annuities and mutual funds. Immediate vesting: While immediate vesting means employers don’t need to use vesting schedules, it also means that they can disincentivize employees leaving early. Complex contribution limits: Unlike other retirement plans that have relatively straightforward contribution limits, 403(b) contribution limits are based on individual formulas for each participant. For most entities that qualify for 403(b)s, these plans are their only option. However, there are other types of plans that might be available, sometimes after restructuring. In other cases, 403(b) plan participants may want to use an alternative in conjunction with their tax-deferred annuity account. 403(b)s are very similar to 401(k)s for tax-exempt organizations. These plans have similar contribution limits and structure, and both have formalized processes with plan documents that govern their operation. Both are also subject to nondiscrimination testing unless they meet Safe Harbor requirements. However, 401(k)s are used by for-profit companies. If you are setting up a retirement plan for a small business, a 403(b) isn’t for you, and you may want to check out a 401(k). For more information, check out our comparative article on 403(b) plans vs Traditional 401(k)s.
A SIMPLE IRA is frequently called a poor man’s 401(k) since it offers many of the same benefits with lower administration costs and more investment flexibility. However, the contribution limits for SIMPLE IRAs are less than half those of a 401(k). Often, that’s OK for small business owners who can’t contribute more than $26,000 annually anyway. For more information, check out our guide to SIMPLE IRAs. Safe Harbor 401(k) plans are similar to Traditional 401(k)s in both structure and function. The key difference is that, under a Safe Harbor 401(k), employers implement generous matching or nonelective contribution programs that exempt them from annual compliance testing. This exemption makes it far easier for participants in a 401(k) Safe Harbor to maximize their contribution limits each year. For more information on this type of plan, check out our article on Safe Harbor 401(k) rules and contributions. A Solo 401(k) is a great option for self-employed owners of for-profit businesses that have no full-time employees. This is because Solo 401(k)s are not available to businesses that have employees other than the business owner, and the plan can only have one participant (and their spouse). Solo 401(k)s are especially beneficial for business owners who may hire employees in the future, as their Solo 401(k) can convert automatically to a Traditional 401(k) plan. For more information, check out our article on Solo 401(k) rules, limits, and deadlines. Like Solo 401(k)s, SEP IRAs are ideal for independent contractors and self-employed business owners who have few or no employees. This is because SEP IRAs require that all contributions be 100% employer-funded and that contributions be made for each eligible employee proportional to employer contributions to their own account. SEP IRA contribution limits are the same as those in a Solo 401(k), except that in a SEP IRA, contributions are capped at 25% of pre-tax income. This makes SEP IRAs a better option for small business owners who make more than $75,000 per year. For more information, check out our ultimate guide on SEP IRA costs, limits, rules, and deadlines. 403(b)s are retirement plans for certain tax-exempt organizations like charities and public schools. Though structured like 401(k)s, 403(b)s are niche products that have fewer providers and more variable plan pricing. If you’re setting up a small business retirement plan, a tax-deferred annuity probably won’t work for you, but it’s a great option for non-profits. Human Interest is an experienced provider of 403(b) plans. Opening a 403(b) with Human Interest has a fee of just $120 per month plus $4 per employee. Get in touch with an expert today and start saving up to $55,000 per year. 1. “403(b) plans were created to be very conservative, and not-for-profit employees can only invest in annuities, conservative mutual funds,” There is no such limit as “conservative mutual funds.” Mutual funds are a limit but the law does not specify which kinds. 2. “403(b) plans are tax-deferred annuity plans” 403(b)’s invested in mutual funds do not have to have anything to do with annuities. 3. ” In 403(b)s, however, all contributions must be vested immediately.” Absolutely not right. Employer contributions can use any legal ERISA vesting schedule. Again, incorrect. The total limit of Employer and Employee contributions is $55,000 and it is all tax deductible. There is no required after-tax component to reach $55,000. Hello, Patricia. Thank you very much for reading the article and for your comment. Our article reflects that 403(b)s are typically confined to conservative mutual funds because they most often are. In practice, this is because plan sponsors owe a fiduciary duty to the plan and participants, which includes limited plans to low-cost investments that are suitable for participants. This means that very rarely can more aggressive funds be included in these types of plans, which were intended to be more conservative vehicles. We refer to 403(b)s in some places as tax-deferred or tax-sheltered annuity plans because that’s the name given to them by the IRS (https://www.irs.gov/retirement-plans/retirement-plans-faqs-regarding-403b-tax-sheltered-annuity-plans). These plans were created around the tax-deferred annuity plans being sold to employees of some tax-exempt organizations, and so the name has stuck. Thank you for pointing out the issue of 403(b) plan vesting. Our early research indicated that immediate vesting was required, but we will research this further and update the article based on additional research. “What types of contributions can be made to a 403(b) plan? Elective deferrals – employee contributions made under a salary reduction agreement. The agreement allows an employer to withhold money from an employee’s salary and deposit it into a 403(b) account. Nonelective employer contributions – contributions other than those made under a salary reduction agreement that include matching contributions, discretionary contributions and certain mandatory contributions made by the employer. The employee pays income tax on these contributions only when they are withdrawn. If you have IRS or other materials that you can provide to assist in our research, we will happily review and update content as necessary. Thanks again for reading.